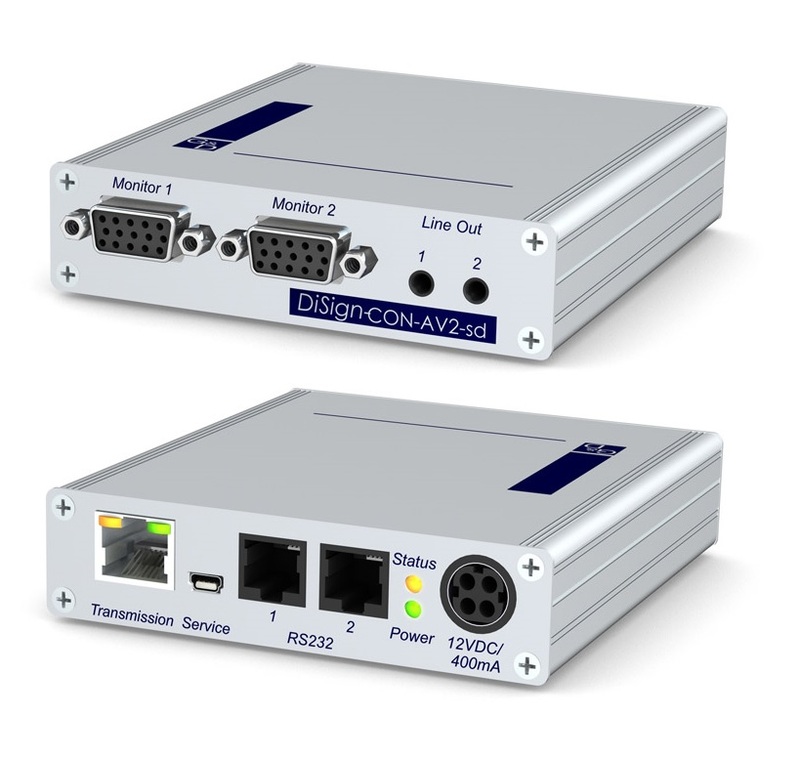 The DiSign-CON display modules transmit AV information from splitter to display. Each module provides ports to connect 2 displays. 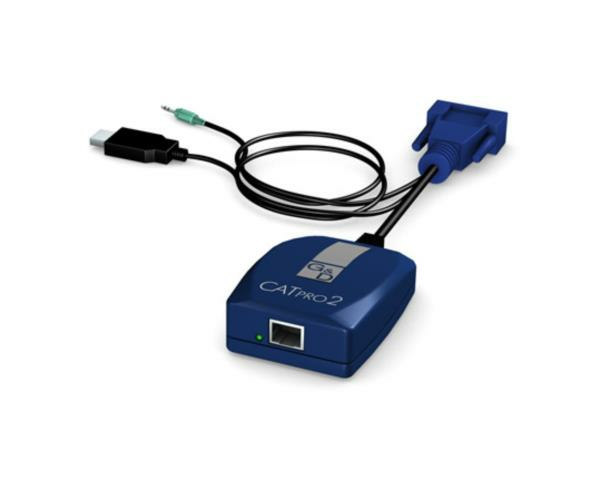 Requires a CATPro2-Audio-USB computer module (GD-A2320039). The lengths apply to the distance between computer module and display.